Surface Area of City Prefecture (Municipality) of Bishkek: No Data. Population of Bishkek : No Data. The city today known as Bishkek - no information available. Although Bishkek today is not one of the Greater World Metropolises, there are plenty of Landmarks and Monuments to visit and marvel at. Bishkek City train station - no information available. Prohibited items in the Republic of Kyrgyzstan include no information available. Legal Penalties may be substantial. Passengers should confirm with their airline of travel for further information and refrain from risk seeking behavior. "Transport in Bishkek and Kyrgyzstan". Google supported Map of Bishkek City in Kyrgyzstan, by AsiaReportcom. 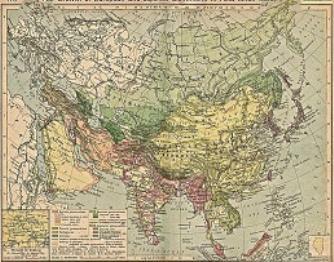 A listing of all available Maps relevant to Bishkek City and The Republic of Kyrgyzstan. Satellite Image Maps, Historic Maps, demographic maps, etc.